Kyo no Tanabata (Tanabata Festival in Kyoto) is one of the biggest events in August in Kyoto. 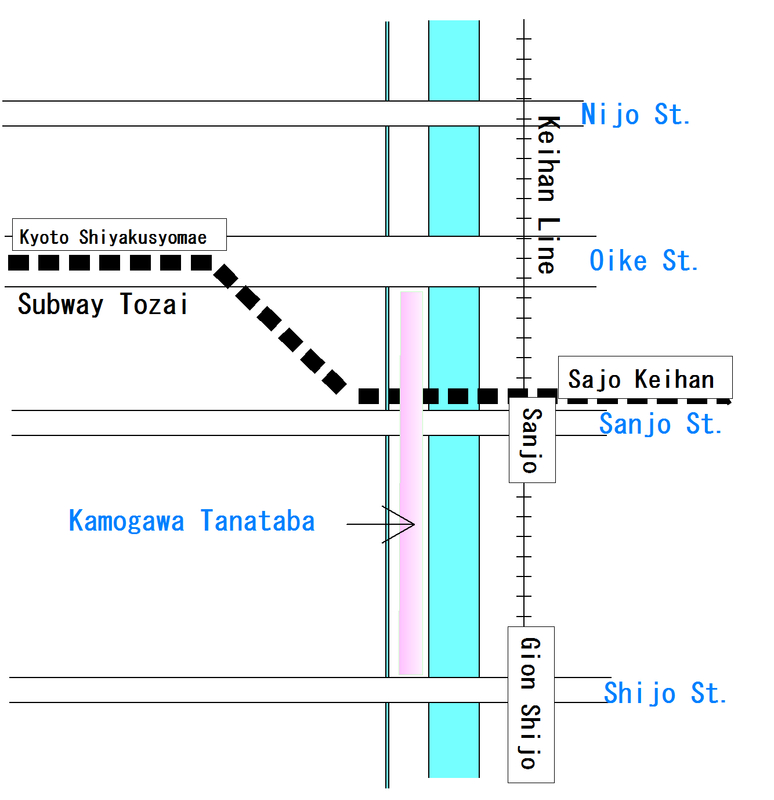 It consists mainly of two locations, the Horikawa area and the Kamogawa area. Horikawa is a thin river going along Horikawa Street. 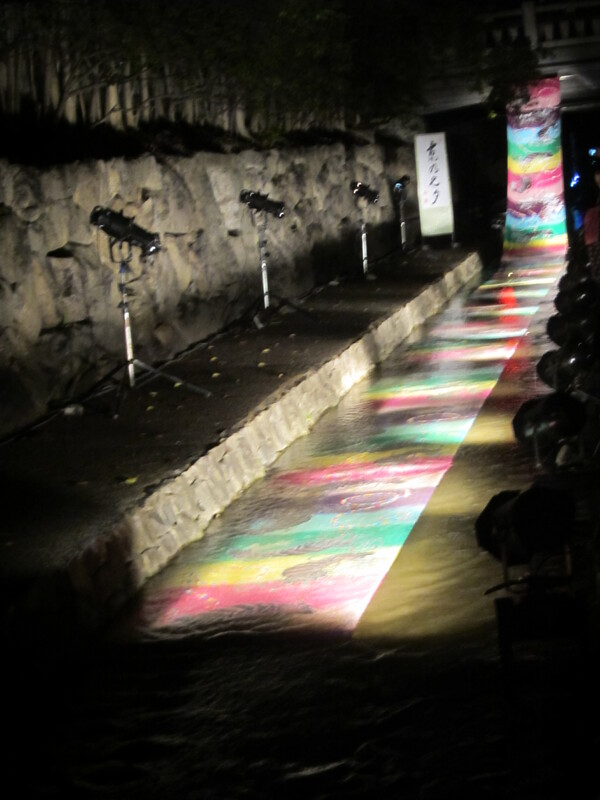 Horikawa River will be lit up beautifully and Nijo Castle, which stands next to the river, provides projection mapping. In addition to these main locations, Kiyomizudera Temple, Kodaiji Temple, Rokudo Chinnoji Temple, Yasaka Shrine, Kifune Shrine, Seimei Shrine, Kitano Tenmangu Shrine and Iwashimizu Hachimangu also plan to do illumination events at the same time period. It is a great opportunity to enjoy sightseeing at night. 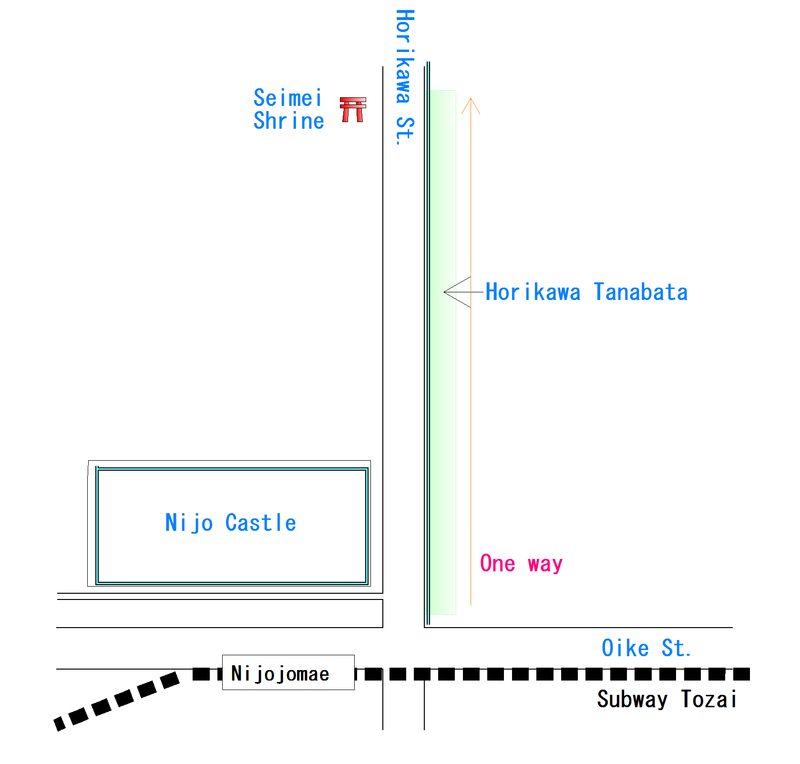 The event starts at 19:00 – 21:30 in Horikawa and Kamogawa areas on August 1st – 10th. A Toei Movie Studio at Uzumasa (Also known as Eiga Mura) extends their open hours and hosts a night event on the 8th and 9th. This year, there will be 4 D projection mapping named the “legend of dragon”. The great thing about this projection mapping is that they connect the picture and live action. The night event starts at 17:00 – 21:00 on August 8th – 9th. The admission fee is 1100 yen/adult, 700 yen/high & middle school student, 600 yen/3 y.o to elementary school student. Gozan Okuribi is another prestigious event in Kyoto. At 8:00 PM on August 16th, Kyoto City will turn the light off and 6 bonfires will be lit up one by one. This is a religious tradition where the bonfires will send ancestors’ spirits to another world after they spend a few days in this world. 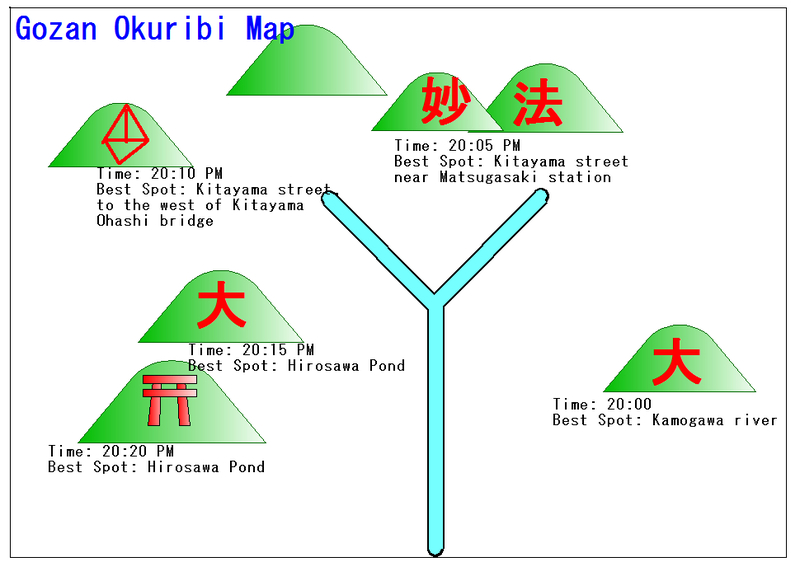 Please read “Okuribi Schedule is Slightly Changed 2014 Kyoto” for more information. On the same day that Gozan Okuribi occurs, the Arashiayma area will also host an event to send the spirits to another world. Small lanterns will be floated on Katsuragawa River. For those interested, go to Togetsukyo Bridge. Also, from this area, two of the bonfires (Gozan Okurubi) can be viewed.